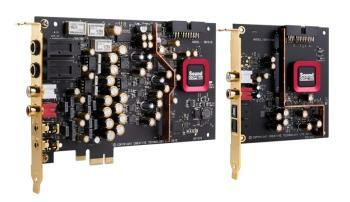 Meet the Sound Blaster Audigy Fx! 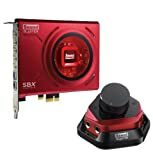 This half-height sound card is powered by SBX Pro Studio Technology and instantly converts your system with 5.1 entertainment system that delivers cinematic surround sound - perfect for bringing out the best in your movies, music and games. Users can look forward to full audio customization with Sound Blaster Audigy Fx Control Panel, a downloadable PC software suite that allows users to control every aspect of SBX Pro Studio. The Audigy Fx further features 24-bit 192kHz digital-to-analog converter (Playback), 106dB SNR and a high-end 600 ohm headphone amplifier for studio grade monitoring. 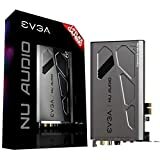 Minimum System Requirements: Intel Core 2 Duo or AMD equivalent processor, 2.2GHz or faster recommended, Intel, AMD or 100% compatible motherboard, Microsoft Windows 8 (32/64-bit), Windows 7 (32/64-bit), Windows Vista (32/64-bit), 1 GB RAM, > 600 MB of free hard disk space, Available PCI Express 1x slot, Available CD-ROM or DVD-ROM drive. Software includes: Sound Blaster Audigy Fx Control Panel, Creative ALchemy, Creative Software AutoUpdate, Creative Host Open AL / EAX5.0 HD, Creative Diagnostics. 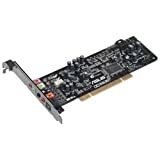 Package contents include: Sound Blaster Audigy Fx card (with full height I/O bracket), Quick Start leaflet, Installation CD containing: Drivers for Windows 7 & 8 , Vista, Creative Software Suite, User's Guide PDF, Half-height I/O bracket. The Sound BlasterX AE-5 is the first sound card to feature Xamp, our custom-designed discrete headphone amplifier. The AE-5 has customizable RGB LEDs on its body, and also features an included RGB LED strip. 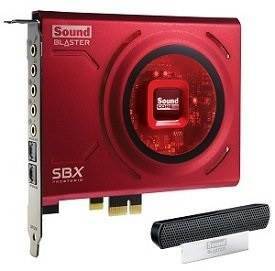 This Sound Blaster Z is an ideal all-round solution for your PC gaming and entertainment needs. It comes complete with the Sound Blaster beamforming microphone for crystal clear voice communication. 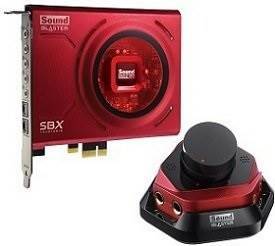 Our Sound Blaster product philosophy comes from a total system approach. We've designed the Z series cards to give the best experience for not only those wishing to experience content, but those wanting to create it as well. This includes optimizations for voice chat and recording in addition to all of the amazing SBX Studio Pro audio output enhancements. The Z card is equipped with gold plated connection points to ensure the card delivers the best possible audio signal. A signal to noise ratio or SNR of 116dB means your audio will be >99.99% pure audio which is 34.4 times better than motherboard audio. Experience crystal clear commmunication with your teammates with the CrystalVoice suite of technologies that removes echoes, ambient noises and picks up your voice from within a zone (Voice Focus). It also maintains your voice level even if you are near or further away from the microphone. The quad-core Sound Core3D audio processor is to designed to offload SBX Pro Studio and CrystalVoice effects processing from your primary CPU, improving your overall PC performance, resulting in drastically superior audio and voice quality. 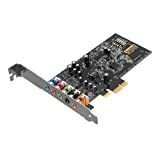 Which Creative Soundcard is Right for You? 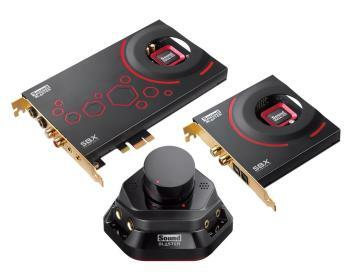 Engineered by EVGA and audio Note (UK), Ltd.
Creative Sound Blaster ZX SBX PCIE Gaming Sound Card with Audio Control Module. 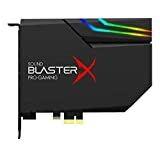 The Sound Blaster Zx elevates the standards of technology and performance for the future of gaming and entertainment on the PC. Clad in brilliant red EMI shielding and featuring glowing LED lighting, it ideally complements any power gaming rig. SBX Pro Studio sound technologies create unprecedented levels of audio realism, including stunning 3D surround effects for your speakers and headsets. 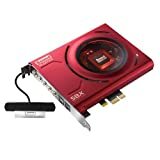 Sound Blaster X-Fi Surround 5.1 Pro turns your PC or notebook into a 5.1 entertainment system featuring SBX Pro Studio technology with remote control. Easy to install, it replaces low-quality onboard audio with high quality connectivity and remote control. A convenient volume control, headphone and microphone inputs for a headset are close at hand. SBX Pro Studio is specially designed to bring the same great audio experience found in live performances, films, and recording studios - to the PC. Dolby Digital Live offers a single cable solution to your decoder for 5.1 audio from any content. A DBPro daughter board and Audio Control Module for unrivalled audio playback and content creation. Studio-grade content creation with hardware that uses only audiophile-grade components.